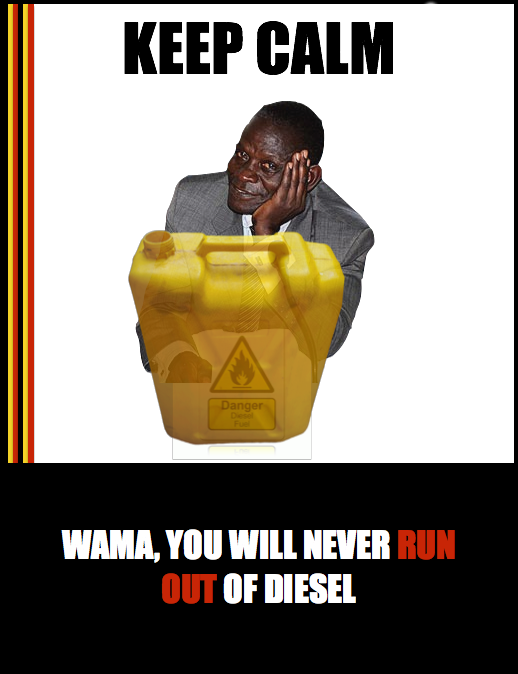 mwe abagagga, give us back our pavements! The other day on Twitter a discussion kicked off around container-carrying trucks being inappropriate for the middle of the city or residential areas such as Nakasero and Kololo. And one tweep (it’s not impolite – that’s what we call people on twitter) jumped in accusing us of being elitist because there are floods in Bwaise that need attention. But his problem was speed of wit. So even if you are from Bwaise and other such areas, the following should be of much interest, but stand warned that it is elitist. Before moving on, however, I think the elitism of this matter is well-placed here based on the assumption that this publication is bought mostly by the elite. It’s just an assumption because I am keenly aware that there are more high-priced residences on hills such as Kololo, Nakasero, Bugolobi, Muyenga, Naguru, Ntinda et al, than the copies of newspapers sold on Sundays. You see, people like me assume that those residences are occupied by people whose status in life should have them buying and reading newspapers on a regular basis – not just when they go to their offices and find the company or organisation has made the purchase. Some of us have taken to jogging or walking the streets for health reasons – especially many who live in the areas abovementioned. While doing so, we face threats to life from open manholes and insensitive drivers, for which a group of us initially blamed the Kampala City Council (and now Kampala Capital City Authority). It was their fault, we said, that manholes weren’t covered, and that we don’t have pavements or sidewalks. Jog-walking round part of Kololo this week I dodged a couple of open, surprisingly-placed manholes but spent more time and effort dodging cars as even in this most expensive part of Kampala there are no pavements. Additionally irritating is a section of Prince Charles Avenue (very posh name but…) that is living in Amin’s regime or Obote II or the early days of the NRA/M when soldiers and senior government officials hadn’t yet grasped the concept of power belonging to the people. Half the road section has been cordoned off for more than a year with soil-filled drums and concrete pipe sections. 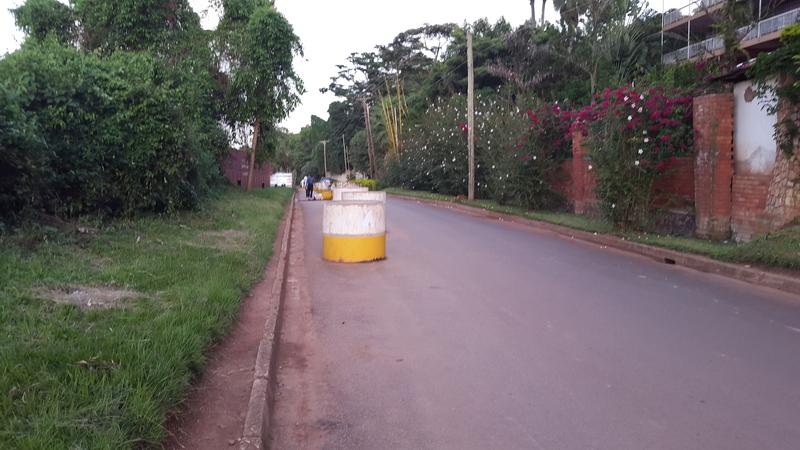 KCCA’s twitter handle (@KCCAUG) explained this week that, “Work is set to start on the retaining wall on this road. Half closure was done for safeguard.” Whatever that meant, even when the road is cleared, there will still be insufficient pavements or sidewalk space. It definitely started in the days when people with strong peasant mentalities suddenly found themselves to be ‘landed’, moreover in the city. Plus, the same mentalities made us/them drive cars to wherever they went so there was never a thought given to the need for comfortable perambulation (love that word!). Have you ever seen a mugagga walking down the road to buy sugar or toilet paper? See, we send the maid or drive to the supermarket! And mind you, the concept of relaxation by taking an evening walk…that was stuff we saw when we were children. And as a child I also walked from home to my city primary schools and most times had reasonable pavement space for my little feet, but have noticed over the years that this kept steadily decreasing to today when most of my walking or jogging has me competing with cars and boda-bodas all being operated by insensitive, crazy people whose mentality is still very close to their villages or days long-gone. Today’s children are more at risk as they walk to school, than we were. As are maids, gardeners and other non-resident domestic workers employed by the same house-owners who have taken over pavement and road reserve spaces. Unless this health-exercise trend grows quicker. 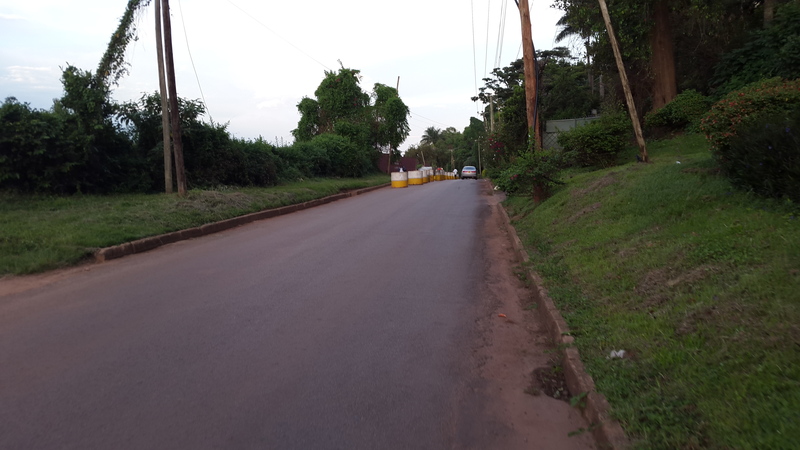 You see, if more and more residents of these houses in Kololo, Nakasero, Bugolobi, Muyenga, Naguru, Ntinda et al begin jogging or taking strolls in the evenings, they will realise the need for pavements and sidewalks. where did that mould that produced this fantastic generation go? 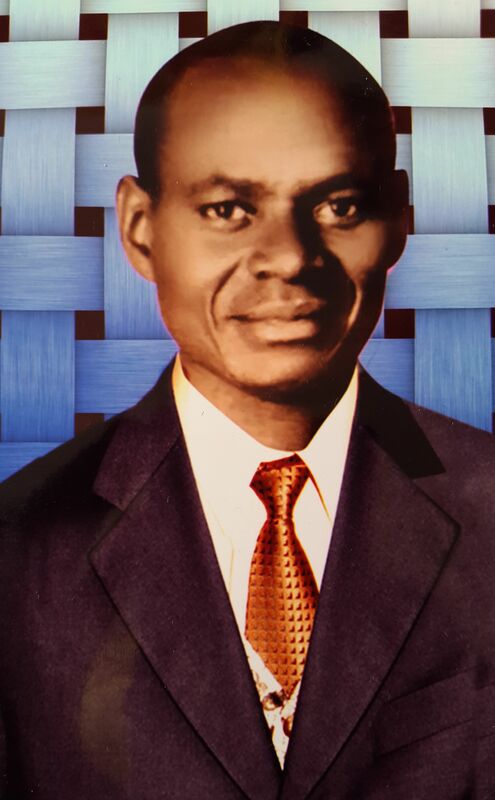 MANY eloquent and free-flowing eulogies flowed last week from the time Owekitinisa Metusera Amooti Tibigambwa Katuramu passed on till after he was laid to rest. For a man of his stature and longevity, it was not surprising that everything said was full of praise and acclaim. 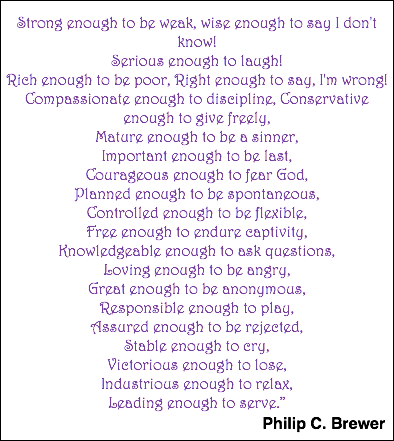 The nobility in him stood out because of his humility. His poise, even in his sick bed, made us stand firm whenever we left him with his beloved wife Atwooki fussing dutifully and maintaining the tidiest of homes. And he narrated how some years ago this noble old man had shown him his tax certificates going back fifty (50) years. Tinkasiimire marvelled not only at the steadfast nature of this senior citizen, but at how meticulous he had been in keeping a full, clean and clear record as evidence of what we already knew about him. Later, Katuramu’s daughter, Amooti Deborah, told us how her father took her to task when she co-owned a government vehicle. The man found it hard to believe that his adult daughter, whose salary he estimated he knew, could afford the car. She had to present to him all her documentation before he let her keep it – such was his consistency in integrity. But during the farewell ceremonies, there were five almost-surreal minutes that disrupted that semblance of tidiness, assaulted my sensibility, and made Tinkasiimire’s question stick out. About six minutes before Tinkasiimire’s eulogy, Vincent Makumbi Nyanzi, Minister of State in the Office of the Vice President, had arrived at the funeral ceremony. Even as his official Mitsubishi Pajero drove up the neat driveway, in Kaitira, Hoima, I hesitated to believe the ministerial flag waving off the vehicle pole on the left hand side was at half mast out of respect for the old man we were bidding farewell. That respect, I felt, would have been better communicated by an earlier arrival at the ceremony and a much less conspicuous entry; but his driver came right up the house as is the propensity of ‘big’ men’s vehicles, and the thought occurred that if this had been Katuramu, he would never have attracted so much attention. Even as I was making a mental comparison, the doors were flung open and I was startled to see a yellow jerry-can right there amid passengers in the back seat. Not in the boot, but next to where the Minister of State was seated, right up against his leg. My breath caught at the back of my throat much as yours has, reading this; I watched the bodyguard step out of the car and took my time studying the jerry-can long enough to arrive at the suspicion that it held either a) honey or, b) locally brewed alcohol, or c) fuel. The people seated around me did the same and started murmuring about the same jerry-can. It looked like all the other yellow jerry-cans of that nature – grubby, suspect, and being in the back seat area of a Mitsubishi Pajero: very misplaced. His back was to the ceremony, and his boss walked down the middle as he said this, across the well-manicured lawn in the shadow of a very neatly-planted copse of Pine trees providing a lovely backdrop for the ceremony in front of the home. I was faced with a mountain of flabbergast. The fellow lost his smile when I pointed out that he was in charge of the Minister’s well-being and should not have allowed the jerry-can to be in that place, and I cannot confirm that the offending receptacle was later relocated. I also have no idea about the boot of the Pajero – maybe there was a cow back there…or a brood of chickens…a fish pond, perhaps? Minister Nyanzi, meanwhile, was once Minister of State for Industry and Technology and also Minister of State for Economic Monitoring.